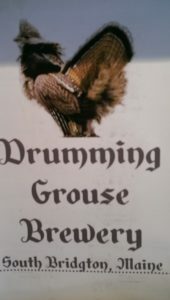 Home » visit breweries » Drumming Grouse Brewery, L.L.C. Drumming Grouse Brewery, L.L.C., a nano brewery, grew out of a love for brewing and drinking beer, a desire to share the good beer we brew, and something to do in retirement. Bob and I (Peter) have been brewing together for eight or nine years and felt it was time to take the next step into something more substantial. We currently have four beers as our mainstay: Swedish Imperial Stout, two Alts (Alt and Prodigal Son), and India Brown Ale. You may also find a sour, a smoked and a barley wine, and who know what else at any given time. Our tasting room is open by appointment at this time – please call, and most likely we can accommodate you.